Dog grooming is one of the very basic needs of the dog. It makes the dog feel and look its best. Grooming is the hygienic care and cleaning of the dog, which makes their coat healthier and shinier. This is the best way to get close with your pet and it should be started from the early age of your pet. The frequency of a dog’s grooming depends on its breed, size and coat. Grooming has few basic steps – Brushing, Bathing, Nail Trimming, Tooth brushing, Ear cleaning and Eye Cleaning. A regular brushing makes the dog’s coat healthier and beautiful. Most dogs enjoy this. Again the tool and frequency of brushing depends on the coat of the dog. It is very important to find out the perfect tool for your dog’s brushing. Regular bathing is very much required to keep your dog clean but the frequency again depends on its breed and coat. 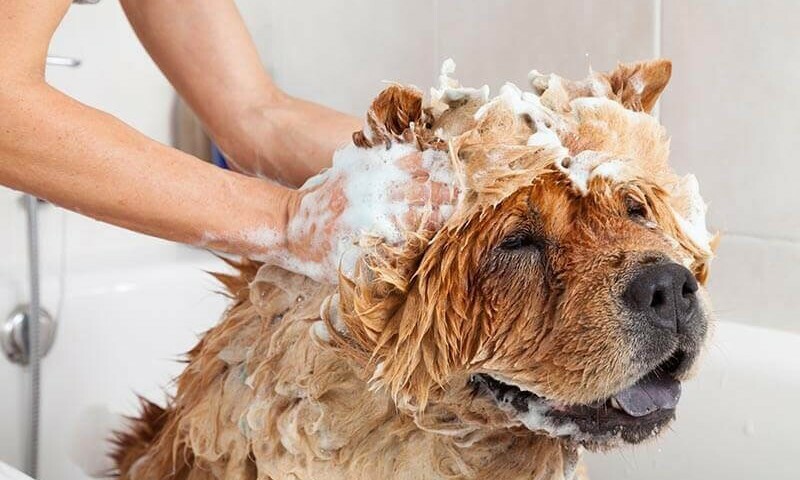 Very frequent bath is not good, as it removes natural oils and makes dog’s coat dry and harsh. Always use shampoo especially made for dogs. As we’ve mentioned in previous posts, we recommend visiting Melaleuca.com for dog shampoo and other Melaleuca products for your dog, all of which contain natural ingredients that are safe for your pet. Before start bathing your dog close the bathroom door so that it cannot escape and run all over the house. Put it in a tub or basin, make sure the temperature of water is good. Put cotton balls in its ear and wet it with warm water. Apply shampoo from its neck to back and keep rinsing it again and again with warm water until all traces of shampoo are gone else its skin can get irritation. Most dogs don’t like their nails to be trimmed so they should be used to with it from very early age. Try to do it very carefully as Dogs will start fearing of nail trimming once they experience pain from it. If you find it difficult to trim your dog’s nails then take it to a groomer. Clean your dog’s teeth frequently only with toothbrush and toothpaste especially designed for dog and also check its gum regularly. Lack of proper teeth cleaning may create mouth infection which can cause serious problems in gums and also in other parts of the body. Clean your dog’s teeth carefully, If it balks during it then put your hand into its mouth and rub its teeth and gum with your finger with a little toothpaste. Once your dog is habituated with this then put toothbrush into its mouth. You can also give it chew toys, which can help to clean its teeth. Regular ear cleaning can keep your dog’s ears free from wax and dirt. Don’t do it very frequently as it may damage its ears. Frequency of ear cleaning depends on the breed so consult with your veterinarian and do it carefully. Clean only the outer part of your dog’s ear, don’t put anything into its ear forcibly. If your dog has long hairs inside its ears then pluck it with your veterinarian’s consultation and then clean its ear. To clean dog’s ears put a small amount of ear cleaning solution into its ear canal and rub its ears with cotton ball soaked in mineral oil and try to remove wax or any other discharge. Clean your dog’s eyes regularly. Remove the discharges around its eyes with a damp cotton ball.